You are here: Home / Celebrity Events / Radio Disney Birthday Concert Tix On Sale Today! Radio Disney Birthday Concert Tix On Sale Today! Radio Disney has a very special event coming up for music fans! They will be celebrating their birthday on November 22nd with a concert at Club Nokia in Los Angeles, California which will feature performances by Shawn Mendes, R5, The Vamps, Christina Grimmie and more. The event will be hosted by Zendaya Coleman with co-host Alli Simpson. Tickets go on sale today on AXS.com at 5pm PST/8pm EST, so be sure to grab yours before they sell out! 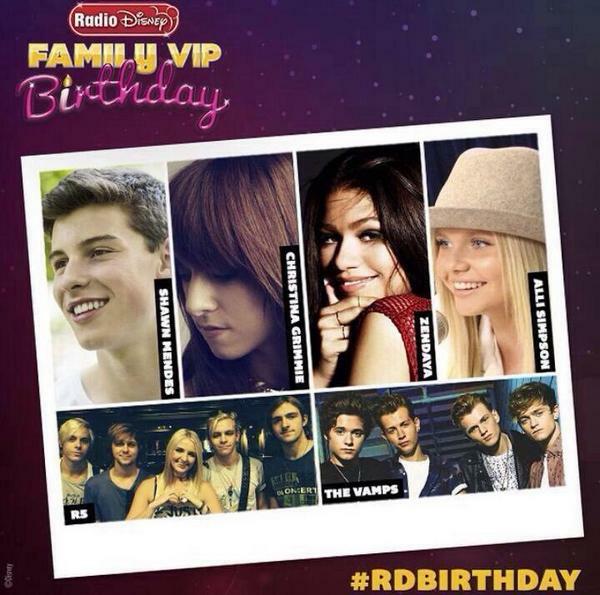 Who are you most excited to see at Radio Disney’s Birthday Celebration? Let us know in the comments below! « Alli Simpson Is Back In Aus & Reunited With Her Bestie!